Chicago saxophonist and composer Chris Greene and his bandmates don't believe in musical boundaries. So it's appropriate that The Chris Greene Quartet's latest album is titled "Boundary Issues." 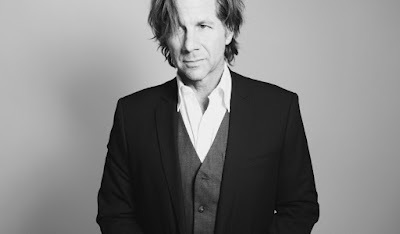 The band will perform a number of shows in support of the new album, including on May 20 at the Winter's Jazz Club, 465 N. McClurg Court, Chicago. More information and tickets are available at www.wintersjazzclub.com. I had the chance to talk to Greene about the new album. Q - Great talking to you again. So you are known for pushing the boundaries of jazz, and your new album is called "Boundary Issues." Did you try to push the boundaries even more on this album? We never consciously tried to push the boundaries of jazz, although I think we certainly challenge most people’s idea of what jazz is. Individually, we listen to and are influenced by so much music along with jazz, so when it comes time to make music with the quartet, no genre, style, or musical idea is off the table. Musical boundaries and divisions simply don’t exist to us. Good music is good music. With “Boundary Issues,” we’re basically distilling many styles and using them as staring points for the compositions and the improvisations. Q - This album is the eighth one with your quartet. How do you think the band has grown and evolved over the years? On one hand, we’re committed to being the best musicians we can be, so we all continue to do our homework off the bandstand. Hopefully, that comes across on the recordings. At the same time, I think we’ve realized that it’s no longer enough for us to dazzle an audience with our musical versatility. We simply want to play good, challenging and interesting music for people - regardless of style or genre. Some of our most fervent fans are people who previously thought that they hated jazz. Those are the folks who end up buying all of our albums. Q - The album also features a number of guest stars. What do you think they bring to the table? This was the first time that we’d had guests in the studio with us, but I knew that the three musicians I chose would add their distinctive flavors to the sessions and push us to greater heights as a collective. 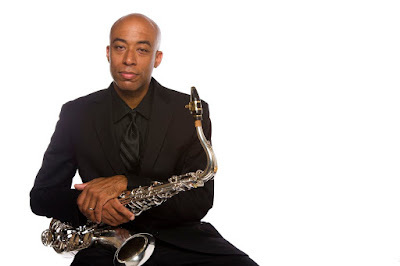 Marqueal Jordan is simply one of my favorite saxophonists (and people) here in town. Our musical influences intersect at several points, so he was a natural choice to join us for the song, “The Crossover Appeal.” JoVia Armstrong is an incredibly tasteful percussionist who performs in every situation imaginable, and her vibe enhances her two appearances. And what more needs to be said about the great, young guitarist Isaiah Sharkey? I was elated that he could join us for two songs! Q - "Boundary Issues" features both originals and interpretations of other people's songs. How did you go about choosing what songs to cover for this album and what did you want to do with them? It always comes down to having enough new quality material that we’ve had ample time to test in front of various audiences. Once we hit a point where we’re focusing less on the sheet music and more and making the music sound and feel good - that’s usually the time to call our producer Joe Tortorici and book the studio time. Q - Along with having your own quartet, you are also a musician that is in demand. Do you have any favorite musicians to work with? 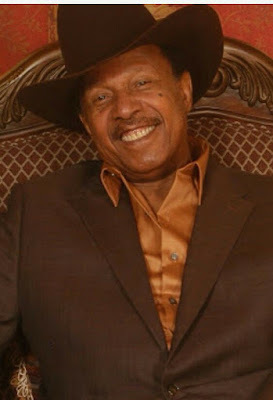 As far as people I work with, I’m a little biased toward The J Davis Trio (led by my friend, vocalist Julio Davis - who also makes an appearance on the album) and the mighty West side funk/soul/R&B collective Midnight Sun (where I met Mr. Sharkey). Ultimately, I just love playing music, so I’m humbled and flattered when anyone calls me to play with them. For the first 10 years of my career, people only seemed to know me from my early electric funk/jazz band New Perspective, my long association with a Dave Matthews cover band and various other rock and hip-hop projects. So they’d be shocked to discover that I could play straight-ahead, acoustic jazz - which is what I went to school to study. For the next 10 years, people only seemed to know me as a traditional jazz player, and were surprised that I liked funk and other stuff. Now people don’t seem to be surprised to see me with a jazz trio one night, a funk band the next, and a rock cover band the next. I just like playing music. I wrote and recorded background music for a children’s play recently, and I’d like to do more of that. I’d love to score an independent film. I also want to compose, arrange and produce for other artists. I’d also like to eventually release music or comedy albums by other artists on my label. The sky ain’t even the limit no more. No boundaries. Paramount Theatre presents energetic version of "Jesus Christ Superstar"
As someone who has watched the 1973 movie version of "Jesus Christ Superstar" dozens of times and had the honor of interviewing Ted Neeley - the actor who portrayed Jesus in the movie - I had high hopes for the Paramount's version of "Jesus Christ Superstar," first conceived by Andrew Lloyd Webber and Tim Rice in 1970 as a rock opera concept album. The musical starts out strong as Mykal Kilgore - a newcomer to the Paramount stage - bounds on to the stage as Judas Iscariot in a powerful version of "Heaven On Their Minds." But there are standout performances throughout the production, such as the one given by Lorenzo Rush, Jr. - also a newcomer to the Paramount stage - as a brooding Caiaphas, the Jewish high priest who is plotting to have Jesus killed. And Avionce Hoyles' take as King Herold is as funny and campy as Joshua Mostel's performance in the same role in the movie version of "Jesus Christ Superstar." Evan Tyrone Martin, previously seen on the Paramount stage as Triton in "The Little Mermaid" and Tom Collins in "Rent," turns in a multi-dimensional role as Jesus of Nazareth. When his followers sing his praises in the song "Hosanna," the look on his face is that he is truly amazed he has had such an impact on them. But it is during the second act of "Jesus Christ Superstar" that Martin truly owns the part. The emotional burden that he feels is on full display in the song "Gethsemane" as he accepts his outcome. What is even more remarkable is that Martin stepped into the role of Jesus after Destan Owens - who was originally cast in the role - had to leave the production because of a family emergency. Martin was originally supposed to play Peter in the production. That Martin was able to turn in such a powerful performance after assuming the role only a few weeks ago is an example of his immense talent. Directing and choreographing this production is Ron Kellum, who has plenty of experience under his belt, having directed more than 20 musicals nationwide as well as choreographing "Iron Man 2." His decision to feature an all-black cast in "Jesus Christ Superstar" was a brilliant move, especially given the immensely talented cast. The production ends on a glorious note with the cast singing an a cappella version, gospel-infused version of "Jesus Christ Superstar," the crowd at the Paramount happily clapping along. 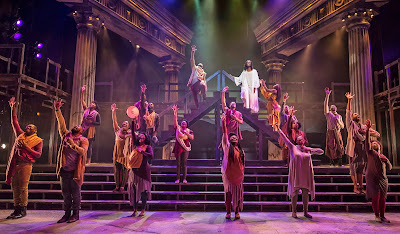 "Jesus Christ Superstar" will continue through May 28 at the Paramount Theatre, 23 E. Galena Boulevard, Aurora. Tickets are available by calling the Paramount at 630-896-6666 or visiting its website, www.paramountaurora.com. "I will keep on playing until I can't play anymore. As long as I have the tools - my fingers and my voice - I will use them. Music keeps me young." 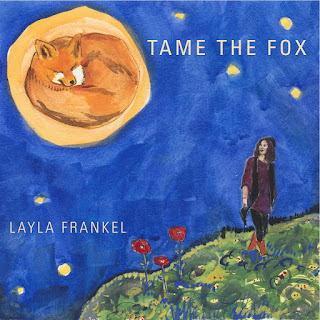 Being the daughter of singer, songwriter and children's entertainer Joel Frankel, it was inevitable that Layla Frankel would become a musician herself. The Chicago-based folk/soul songwriter and singer will celebrate the release of her debut EP, "Tame the Fox," on April 30 with a show at SPACE, 1245 Chicago Avenue, Evanston. The show starts at 7 p.m. and tickets are available at www.ticketweb.com. I had the chance to talk to her about the new album. Q - Great talking to you. In sitting down to make "Tame the Fox," what were your goals and do you think you accomplished them? Honestly, my main goal was just to complete it! This project has been years in the making and there’s such a thrill in simply having this body of work as a studio recording. So in that regard, yes, mission accomplished! As far as more specific goals within the project, my objective was to not only record these songs but to truly do them justice; to produce my songs in a way that really showcases the songwriting and my abilities as a vocalist. That meant bringing in strong, versatile musicians and finding a sound engineer who understood and believed in the project. The album features Dave Hiltebrand on guitars and bass, Robert Rashid on drums/ percussion, and Eddie Ganet on keys; all of whom were wonderful to work with and crucial in bringing these songs to their full potential. And Josh Richter, the sound engineer at Victorian Recording, made the whole recording process fun and comfortable which is so essential when you’re in the vulnerable state of recording your first CD. I really could not have been happier with the team involved. Q - I understand that you carried the book "The Little Prince" during a 600-mile hike last year on the Israel National Trail. In that book, The Little Prince meets many interesting characters during his travels. Did you meet any interesting characters on the hike? Yes, many! Although, considering I was the one hiking in a foreign country, they probably thought I was a character. Many of the people on the trail were young Israelis who had just finished their army service and hadn’t even begun to think about their career paths or university/college educations. Their worldly perspectives were very different from my own as well as the cultural expectations and communication styles. I had a lot of miles to spend thinking about my cultural background, habits and idiosyncrasies, and when you surround yourself with a new culture it gives you a completely different understanding of your own life and the choices you make. I think my time on the trail - time spent away from music - only helped guide me right back to it. Completing the trail was my way of proving to myself that I can accomplish that which I set out to achieve, and while I was on the trail I told myself that, if I could complete my two-month-long hike, the EP release would be my next metaphorical “trail. What better mantra for a debut release? This is me; this is what I have to offer; this is how I’ll tame the fox. Q - As a youngster, you appeared on stage with your dad, Joel Frankel, and also appeared on his children's records. How did that experience shape you and prepare you for your own musical career? Let’s just say being a doctor or a lawyer wasn’t really in my cards. Growing up the child of a freelance songwriter and performer, it was just a job like any other parent’s job. Counter to the societal stigmas around careers in music, his livelihood as a musician never seemed to be particularly extraordinary or unstable -we lived comfortably. So pursuing music always felt like a viable option. I certainly attribute my comfort as band leader to my early experiences with him both on stage and off. I grew up watching him perform, analyzing his stage banter, and helping him come up with song arrangements. And I first recorded with him when I was four years old, so singing and performing is somewhat second nature. Chicago loves all kinds of music so any style of music can find an audience here. That being said, I find the music scene to be as spread out as the landscape itself. I practically grew up at the Old Town School of Folk Music in Chicago because that was the musical niche that my father was in and that particular community has always felt like a musical home. Since returning to Chicago post-college and exploring a variety of styles including more jazz, soul and pop sounds, I’ve branched out of the cozy folk circle and found there to be independent musical niches all over the city. In the past year I’ve attempted to bridge the divides to some degree by featuring various artists at my monthly showcase, “All Write in the Round,” and have met some really talented, creative, and motivated musical counterparts. It’s a challenge; there are so many people in places I wouldn’t think to look, but I find that what this city lacks in music industry it makes up for in artistry and collaboration. I’m just hoping to keep meeting people, gaining inspiration from their work, connecting and collaborating. Q - I know you teach songwriting at the Music Institute of Chicago. What are some of the things that you try to convey to your students? It’s all so subjective; sometimes I think they’re teaching me just as much I’m teaching them. I work primarily with beginners, and my main objective is to give them prompts and guidelines that help generate creative ideas for them. I just want to help them find their creative footing so that they are excited to explore the medium of music and lyrics. One of my favorite exercises is to have them listen to their favorite song, figure out what they love about that song and then put themselves in that artist’s shoes. You can only learn by copying what you know and love, and through that you’ll find your voice. I also encourage writing and finishing bad songs. It’s better for them to write 100 bad songs than no songs at all. Q - You are also the host and curator of a monthly musical showcase, “All Write in the Round,” at Wishbone North in Chicago. Do you think that such events help strengthen collaborative efforts between musicians? What do you get out of the experience? That is the goal! I try to bring in an array of artists each month with varying sounds - sometimes they know one another but often they don’t. In a city as spread out as Chicago, my mission was to create something that made the music community feel a little smaller and more accessible. Whether the rounds lead to further collaborations between artists I couldn’t say, but I can tell you that at every performance I try to create an open, organic, collaborative environment on stage which has lead to some really spontaneous and fun musical moments. I like to believe that the simple existence of a series like this contributes to a city-wide collaborative culture. I certainly feel its presence in my own musical relationships. Q - What goals do you have for the rest of the year? Write more songs, play more rounds, and continue to play shows with my phenomenal backing band. I have some collaborations in the works with other local artists including video projects and songwriting co-writes so I’m looking forward to those types of projects. Only this time I’ll take an automobile.